The Russian Navy Command has suggested re-launching a marine logistics base for Russian warships in the Vietnamese deep-water port in Cam Rahn Bay, formerly the largest Soviet base outside the country. The Navy Command has accomplished work on a report substantiating the necessity of restoring the facility “and provided a relevant estimate,” writes Interfax agency citing a source at the body’s headquarters. The main point of the base at the South China Sea would be to provide support for Russian vessels to combat piracy in the Indian and Pacific oceans, former Chief of Navy General Staff, Admiral Viktor Kravchenko told the agency when commenting on the issue. Previously, he recalled, the facility used to play a key role in providing support for the Soviet and later for the Russian Navy. Today it would come in handy, as well. MP Mikhail Nenashev, the chair of the Subcommittee on Military-Technical Co-operation agreed that the idea is quite reasonable. First of all, he said, it would be cheaper to actually rent the navy base than to regularly use tankers, mobile workshops and other support vessels which would provide warships with all the necessary supplies. In addition, the restoration of the Cam Rahn facility “would provide for the strengthening and developing of co-operation with Vietnam and other countries of the Asia-Pacific region,” he said. Thanks to its geographical position and favorable conditions, the deep-water port on the southeast coast of Vietnam is considered to be one of the best in the world. So far – in different periods of history – it has been used by several maritime powers, including France, Russia, the US and Japan. Situated in the province of Khanh Hoa, the Cam Rahn Bay port lies 220 miles north-east of Ho Chi Minh City (also known as Saigon) and gives excellent access to both strategically and commercially important routes across the South China Sea. In addition, with the harbor’s depth of about 14 meters, the port shipyard makes it possible to repair large vessels. Can Russia afford to get Cam Rahn back? 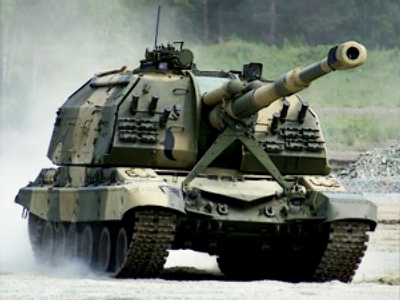 Viktor Litovkin, Editor-in-Chief of the “Independent Military Review” believes that restoring the Cam Rahn base would be quite a positive step for Russia. In addition, Litovkin went on, Cam Rahn’s location is rather favorable and has already got all the necessary facilities. “We would only have to deliver new equipment and renew facilities that were at the logistics base when it was used by the [Soviet Union],” he told RT. However, making the base safe and convenient for the ships, as well as personnel who would be permanently stationed there to maintain the base’s work, would require financial investments and might be rather pricey. “As far as I know, Russia has not got money for that yet,” he added. Litovkin recalled that there is also a Soviet-era base at the Syrian port of Tartus, which could also be used by Russian vessels on their way to the Horn of Africa. In addition, it would be a lot closer for the Black Sea Fleet ships to get to the African coast rather than for the Pacific Fleet vessels to sail all the way from Vladivostok. Litovkin did not exclude, though, that a political decision might follow the Navy Command’s proposal. The Vietnamese leadership is not opposed to Russia coming back to the Cam Rahn port, he pointed out. “First of all, it would provide jobs for Vietnamese citizens,” Litovkin explaioned. In addition, the republic would get money from renting the facility. Previously the sum of $300 million was discussed. In the Cold Era times, the Vietnamese base used to be an element of the Soviet policy in counter-balancing the US. Now Moscow does not need a confrontation with Washington, NATO, or anyone else, Viktor Litovkin stressed. “Russia does not carry out any expeditionary operations in the ocean,” he said, adding that the only task the country pursues is to “protect its national interests, its citizens and trade ships”. According to the military analyst, Moscow is not going to compete with Washington. “American navy bases in the ocean, its Navy base at Yokosuka, Japan, cannot be compared even to the entire Russian Pacific Fleet,” he said. The American military budget comes at around $670 billion, while Russia’s at only about $70 billion, he noted. In addition, Litovkin said, Russia simply does not need a competition, since the times of the confrontation between the Communist and Capitalist regimes “have sunk into oblivion.” Now Russia and the US have common problems and threats to address: countering terrorism and piracy, fighting drug-trafficking and nuclear proliferation. “I believe we are allies in fighting against these threats. And I think we will act together as we do now in the Horn of Africa region, where together with NATO ships we counter Somali pirates,” the analyst stated. The Asian anchorage was first spotted by the French, who built naval facilities in the area in the 19th Century and used them for their naval forces in Indochina. The then-imperial Russia was eyeing Cam Rahn Bay as well during the Russo-Japanese war of 1904-1905. In April, 1905, a squadron under the command of Admiral Zinovy Rozhdestvenski entered the harbor for coaling and maintenance works prior to the Battle of Tsushima. The French, however, under pressure from the Japanese and the British, asked the Russians to leave. During World War II, Cam Rahn Bay was extensively used by Japan to launch military operations throughout South-East Asia. In 1944, US Naval Task Force 38 destroyed most of the Japanese facilities and the port was abandoned. In the ’60s, during the Vietnam War, the site became the center of American coastal air patrol operations and, in April, 1967, the US Naval Air Facility was established there. In April, 1975, North Vietnamese troops occupied Cam Ranh Bay and all its facilities, which had been significantly upgraded during American presence at the site. 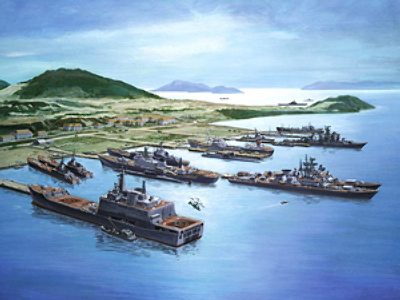 In 1979, the Vietnamese and Soviet governments signed an agreement on the use of the Cam Ranh base. In fact, the document stipulated the free use of the facility for 25 years. In the Cold War era, Cam Rahn base became the largest Soviet naval base abroad. In addition to its favorable location, it was also needed as a counter-balance to the US Naval Base at Subic Bay in the Philippines. In 1998, Vietnam suggested that Russia, to extend the agreement, should pay US$300 million per year for using the facility. In 2001, Moscow announced that it was not going to prolong the contract and a year later, in May, 2002, the Russian military left the port. The Vietnamese side stated that it would use the facility for civilian purposes. In 2004, the rebuilt airport of the base welcomed the first commercial flight from the capital, Hanoi.